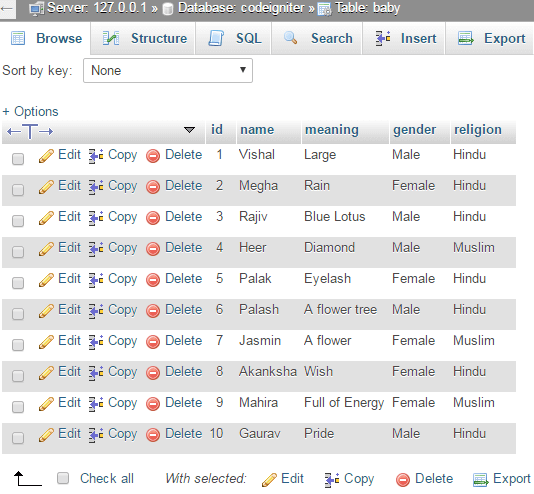 In this example, we will INSERT different values in database showing meaning of Indian names through CodeIgniter. 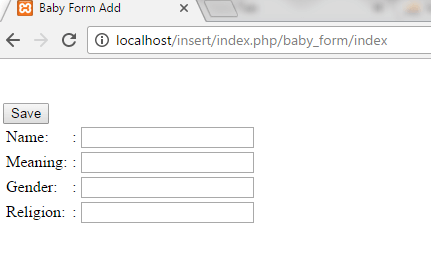 In application/controller, file baby_form.php is created. Look at the above snapshot, our table name is 'baby'. This is our view page which is being loaded in the controller's page. By inserting various names in the above form we have created our table as shown below.